AMMONNEWS - Israeli aircraft carried out a raid in Syria late Wednesday after two rockets were fired from across the border into Israeli territory, the military said. 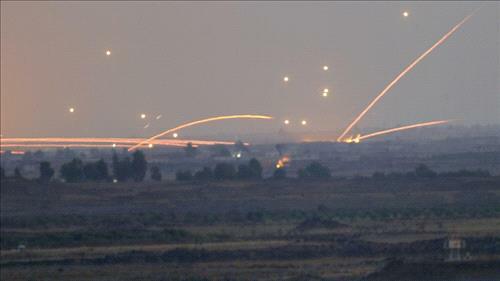 “In response to the two rockets launched at Israeli territory from Syria, IDF aircraft targeted the rocket launcher it was fired from,” the Israeli military said. It added that artillery also targeted the surrounding area, but did not specify its location in Syria.